The weather is so brutal that my nephew's visit ended up in the front yard water hose. Pictured is Grayson Garnier. Saturday North Texas saw its first 100-degree day of 2010. The temperature at the National Weather Service's official record-keeping station, Dallas-Fort Worth International Airport, hit 100-degrees just before 4 p.m. Saturday. The blistering temperatures arrived a bit earlier than usual. The NWS reports the historical average first day of 100-degree temperatures is July 1, and the last time North Texas saw 100-degrees was August 25, 2009 when it was 101. The official high on Sunday at DFW was 98-degreees while heat indices ranged from 100 to 105. Anyone who must be outside when the temperature is high is urged to take plenty of breaks and drink a lot of water. The NWS reminds everyone to never leave people or pets in vehicles, even if it's for a short period of time, because it can be fatal. Carroll High School moved its Friday graduation indoors, relocating to Cowboys Stadium. It will be the first high school to hold graduation ceremonies at the new stadium. Commencement was originally planned for the outdoor Dragon Stadium. If you're exercising in triple-digit heat, salt and sugar should be a heat ritual. 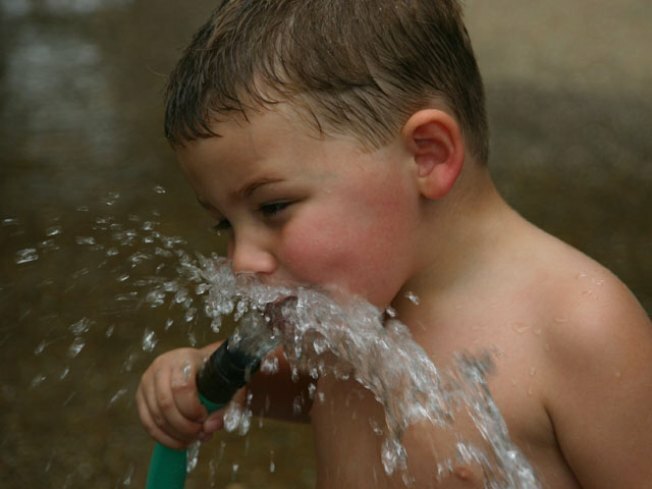 Health professionals across North Texas are gearing up for the expected heat. Doctors say triple-digit temperatures can be too hot to handle, especially for people out under the blazing sun. "Even though the ones who are most at risk are the very young and the very elderly because they don't know they're getting into trouble and they can't fend for themselves, but yet the people who are really getting into trouble the most are the young, healthy people who think they can go out and work hard in the sun," said Dr. Paul Pepe, chief of emergency medicine at Parkland Hospital and UT-Southwestern. The extreme heat has emergency rooms and emergency workers ready to treat heat-related illnesses. Parkland Hospital's emergency room stands ready to see heat-related illnesses year-round. It sees most cases in June, because people's bodies are not yet used to hot weather. "What we find, especially if we spray people's faces or necks, etc., and we start actually blasting lots of fast, high fans at them, it actually brings the temperature down pretty rapidly," Pepe said. He said hundreds of people likely will experience heat exhaustion this summer, but only one person will end up in Parkland's ER each day. 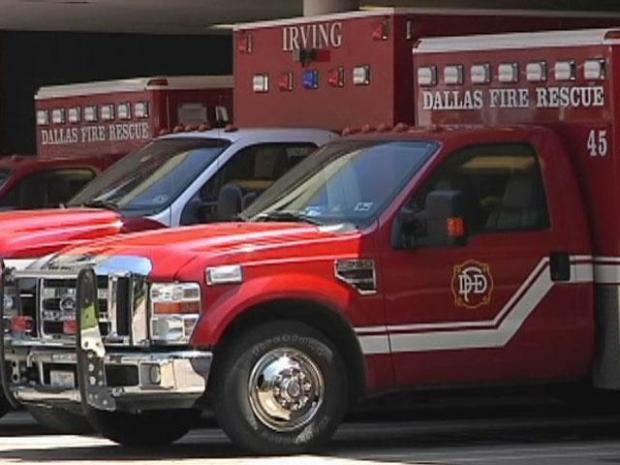 "It's very important that we reach out early enough, before this heat really impacts a person," said Zachary Thompson, director of Dallas County Department of Health & Human Services. This week, the health department began installing donated air-conditioning window units in the homes of elderly and disabled people who were in need. Thompson said four to five people per year have died in Dallas County because of the heat. "Fans alone are not going to be enough for this extreme heat that we're going to see," he said.